Adding an action-packed stay in Florida to a laidback sailing through the Caribbean creates a classic yin and yang experience. One day, you are screaming yourself hoarse on the scariest of white-knuckle rides in America’s theme park capital, Orlando; the next you are sipping a sweet rum punch while gliding serenely through the tropical isles of the West Indies that stretch southwards to Latin America like precious jewels. It is one of the most established cruise and stay combinations, and the icing on the cake where Caribbean cruises are concerned. With so many ships departing from ports in Miami, Fort Lauderdale, Tampa and Port Canaveral, slotting on a few nights or a few weeks in Florida is child’s play. And if you have kids in tow, they will thank you for it! Alternatively, if the thought of racing around the stomach-wrenching thrill rides of Orlando leaves you reaching for the sick bag, there are plenty of calmer alternatives. The beauty of the Sunshine State is the huge variety of attractions on offer; after all, it isn’t regarded as America’s playground for nothing. Florida’s main claim to fame lies in its collection of theme parks clustered around Orlando, for which there are numerous cruise and stay combinations. Disney Cruise Line is the most obvious as Mickey Mouse fans can spend a few days at Walt Disney World before continuing the magic on-board one of Disney Cruise Line’s ships which sail from Port Canaveral, around an hour’s drive away. But you can opt for other lines that depart from here, too, including Royal Caribbean International, Carnival Cruise Line and Norwegian Cruise Line, and team their voyages with stints at Disney or Universal Orlando Resort. Or simply stay in one of Orlando’s numerous hotels and add in other attractions such as Busch Gardens, Legoland Florida and Discovery Cove, along with a splashing selection of water parks. 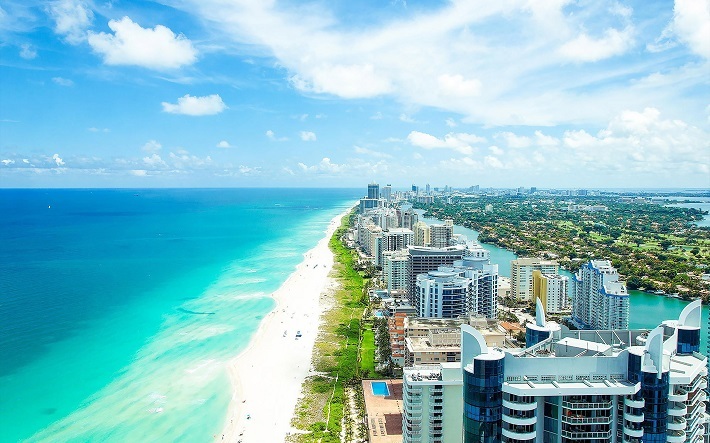 For a less frenetic experience why not spend a few days exploring the hip enclaves of Miami; from the swish hotels lining glitzy Miami Beach to the art deco charms of South Beach where 1920s era hotels decorate the main Ocean Drive. This is the place to watch the rich and beautiful at play; to stroll past the Versace Mansion, where celebrity designer Gianni Versace was shot dead in 2007 and which has since become the third-most photographed house in America, after the White House and Elvis Presley’s former home, Graceland. Culture fans can immerse themselves in Miami’s arty side at the Wynwood Arts District, an area of more than 70 galleries, museums and art collections between 20th and 36th streets, which visitors are free to explore at leisure. After a few days, it is simply a matter of making the short trip to the city’s port to sail away. For a markedly different flavour, try Fort Lauderdale which revels in the sophisticated ambience that gives it a more exclusive feel. The long powder sand beach is an obvious temptation, along with the city’s swish bars and restaurants, but a fun way to get your bearings is by jumping aboard one of the many boat trips through the Intracoastal waterways to marvel at the palatial waterside homes. For something a little more whacky, take a Duck tour which boasts a ‘quack-tacular’ experience as its amphibious landing craft tour the city streets before splashing into the waterways. The lush surroundings of Butterfly World, claimed to be the world’s largest such attraction with more than 20,000 butterflies, makes an enjoyable diversion. However, with this being Florida, crocs and alligators are the main attraction, and Fort Lauderdale is an ideal jumping off point for tours of the Everglades where noisy high-speed airboats skim across the water. From one craft to another, when it is time to board one of the many cruise ships that depart this city, the port is just a short drive away. With more cruise ships departing Florida ports than anywhere else, there is no shortage of choice, whether it is three or four-night hops to the Bahamas with stops at Nassau, or longer sailings of two weeks or more, some of which sail through the Panama Canal to the Pacific Ocean. 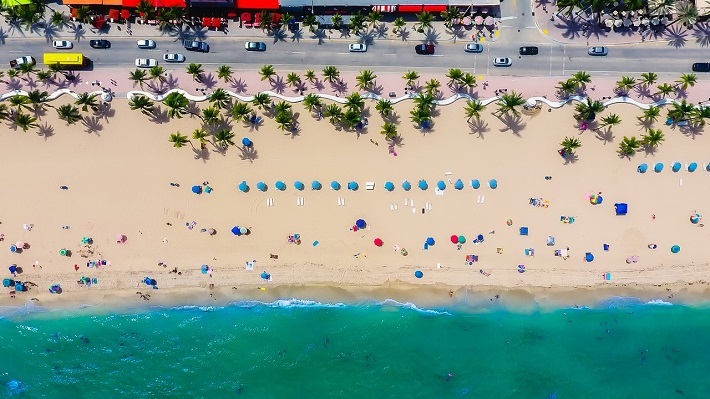 Generally, the most common cruise and stay combination tends to be a week in Florida and a week-long cruise – in that order, so holidaymakers can recover from their exertions while on the ship. 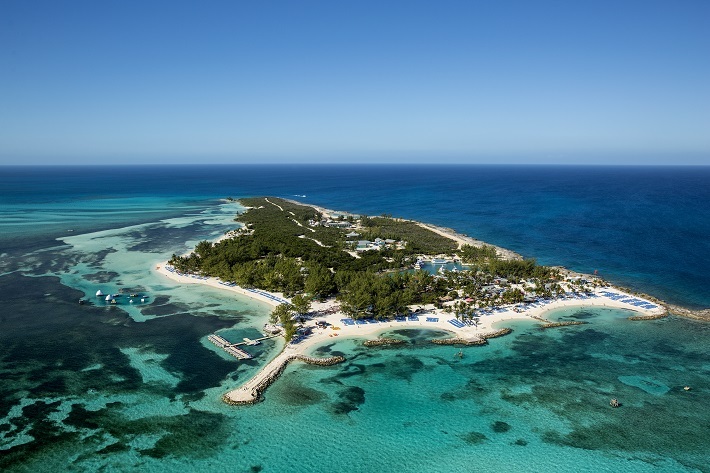 Itineraries from larger lines such as Disney, Royal Caribbean and Princess Cruises may also include stops at their own private islands or resorts. Sailings of six or seven nights will stick to those Caribbean isles within closest reach of Florida, such as the Turks and Caicos Islands – a group of sleepy outposts known for their dazzling white-sand beaches and upmarket feel – and the Cayman Islands, with stops at the bustling capital, George Town. Puerto Rico’s capital, San Juan; Montego Bay or Falmouth in Jamaica; St Thomas in the US Virgin Islands; the Dominican Republic; and the French/Dutch island of St Martin/St Maarten may also pop up in week-long itineraries, along with St Kitts and the Dutch Antilles isle of Aruba. Longer sailings of ten to 14 nights bring in more islands in the Eastern Caribbean, such as Antigua and Barbados, along with Trinidad and Tobago further south. And some long sailings will stop at ports in Central and South America. Cruise and stay packages are on offer year-round, though peak time for Caribbean sailings tends to run from November to May. But whenever you go, such a contrast promises to be a winning one. Sara Macefield is an award-winning travel journalist of more than 20 years standing, and has spent the last decade writing about the cruise industry – exploring the world's oceans and rivers on ships of all sizes. Having notched up more than 100 cruises, her most memorable trips have been to Alaska with its superb wildlife, and sailing along Burma’s remote Chindwin River to villages far off the tourist track. She writes regularly for The Times and Daily Telegraph and has written for the Daily Mail, The Guardian, Daily Express and Woman & Home Magazine. Hi Kerry, thank you for getting in touch. 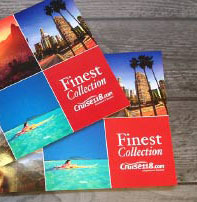 I’ve passed your details on to our Cruise Concierge team who will be in touch with more details on your enquiry. Thanks, Emma. What islands do you visit on a Caribbean cruise?